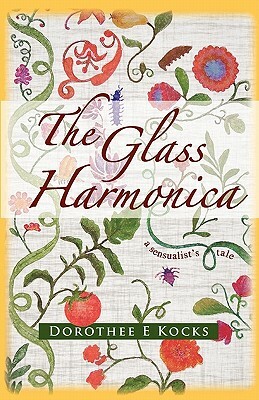 Dorothee Kocks steals intimate details from American history to craft a novel of sensuality, ecstasy and music that reads at the pace of a thriller. Young Chjara Valle is exiled from Corsica sold as a servant to an opium addict in Paris. Music paves the way for her to flee with Henry, her love, to post-revolutionary America. There the new freedoms and Puritan vigor compete for ascendancy. Chjara woos and scandalizes in equal measure with her playing of Benjamin Franklin's glass harmonica, while Henry hides his trade in erotica and forbidden books. Secrets gather and the charge between the lovers weakens as the crowds begin to call for the family's blood. Rooted in historical fact, this debut novel by a gifted international storyteller takes you into a passionate world full of dangerous ideas and dangerous men it is a world you ll not want to leave. Bawdy, geographically vast, heroic, and sensual indeed. Sterling Watson, author of Fighting in the Shade.